Courtyard and swimming pool. 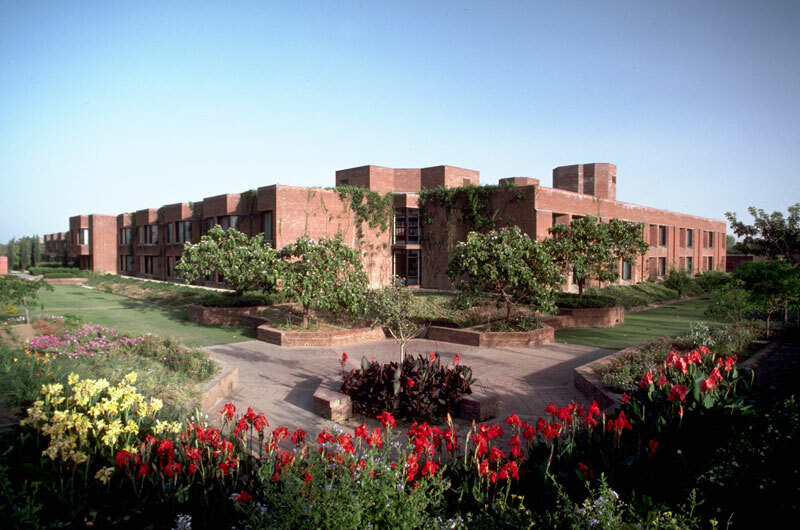 Mughal Sheraton Hotel project, Agra, India. Formal garden. 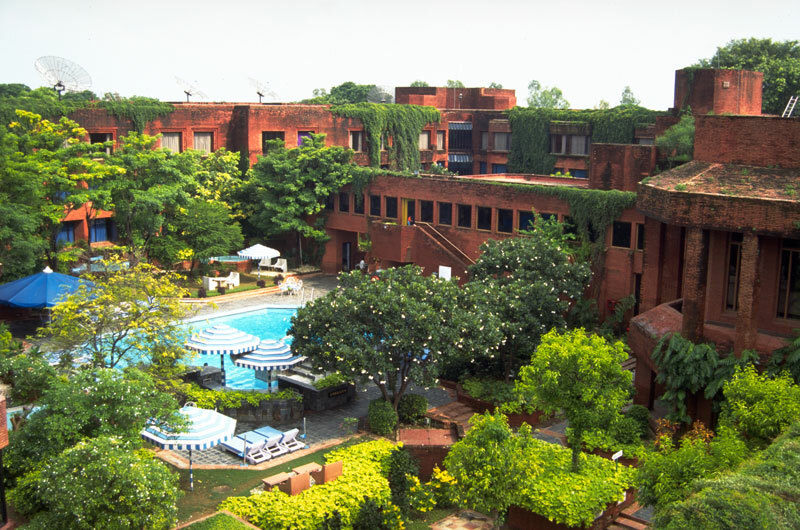 Mughal Sheraton Hotel project, Agra, India. Interior, lobby. 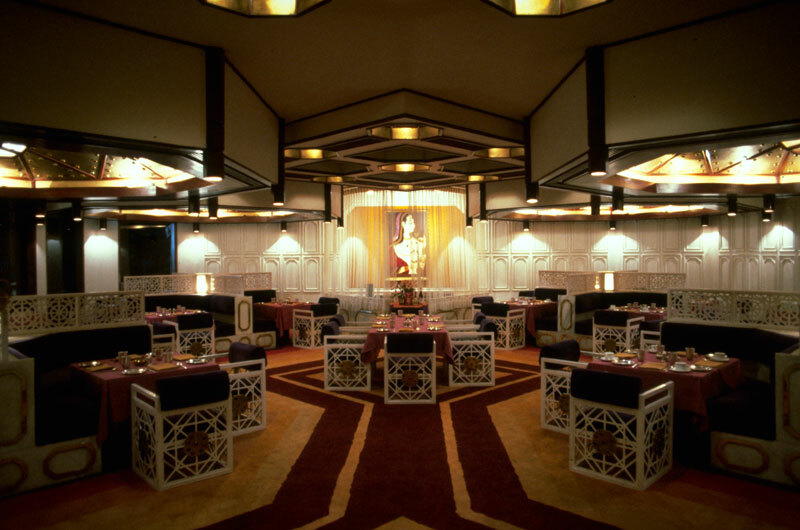 Mughal Sheraton Hotel project, Agra, India. Mughal Sheraton Hotel project, Agra, India. Covered walkway to the entrance. 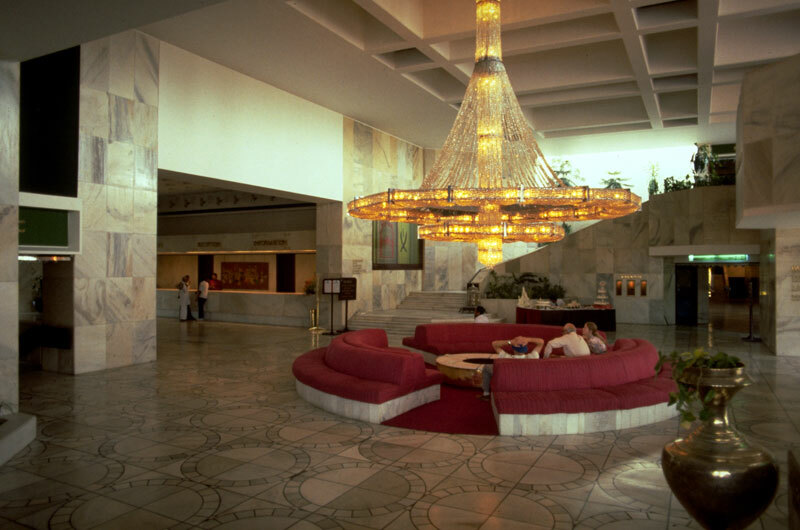 Mughal Sheraton Hotel project, Agra, India. Pool with fountain.&nbsp;Mughal Sheraton Hotel project, Agra, India. 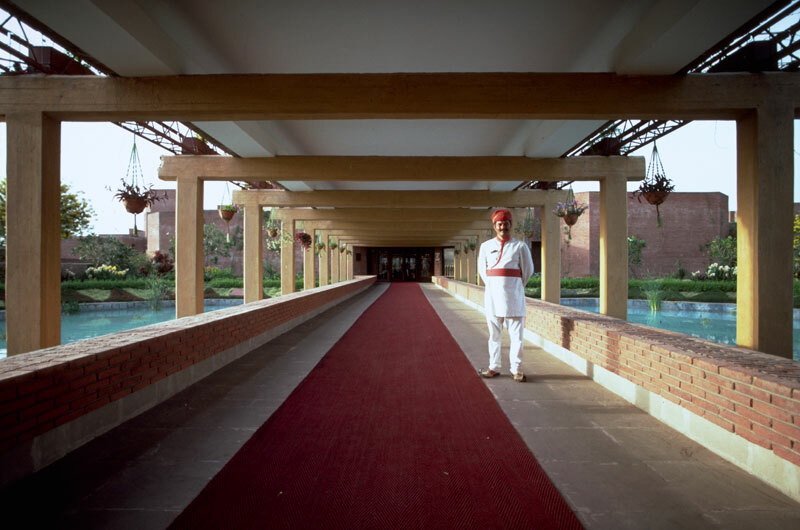 Entrance walkway and pool.&nbsp;Mughal Sheraton Hotel project, Agra, India. 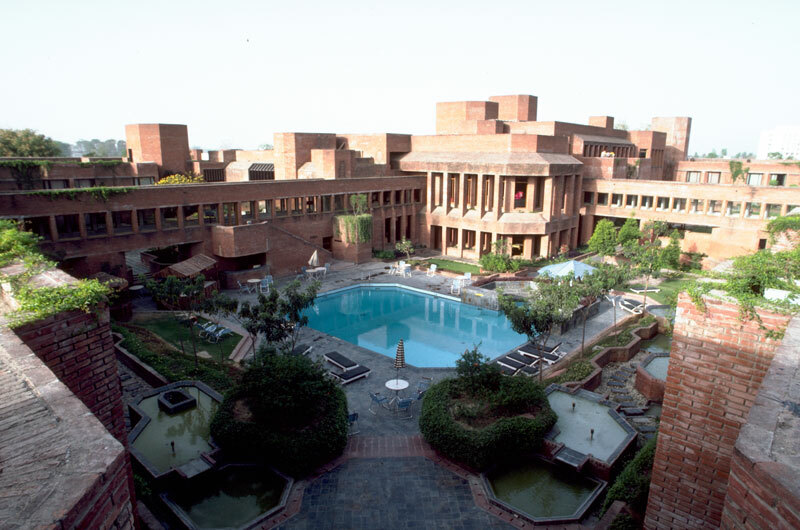 Courtyard and swimming pool.&nbsp;Mughal Sheraton Hotel project, Agra, India. Northwest corner of the hotel complex. Mughal Sheraton Hotel project, Agra, India. 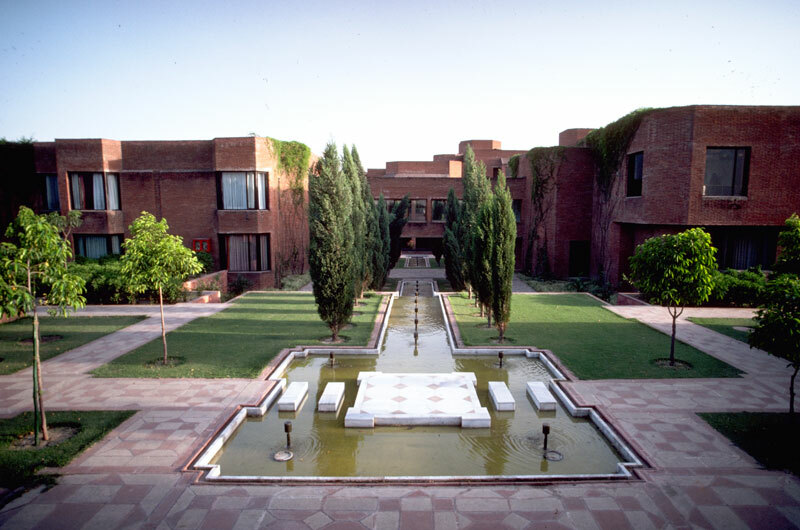 A 290-room, five-star hotel, planned around garden courts and fountains, it has been designed to accommodate visitors to the Taj Mahal and Fatehpur Sikri. The hotel has been placed on axis with the Taj Mahal. 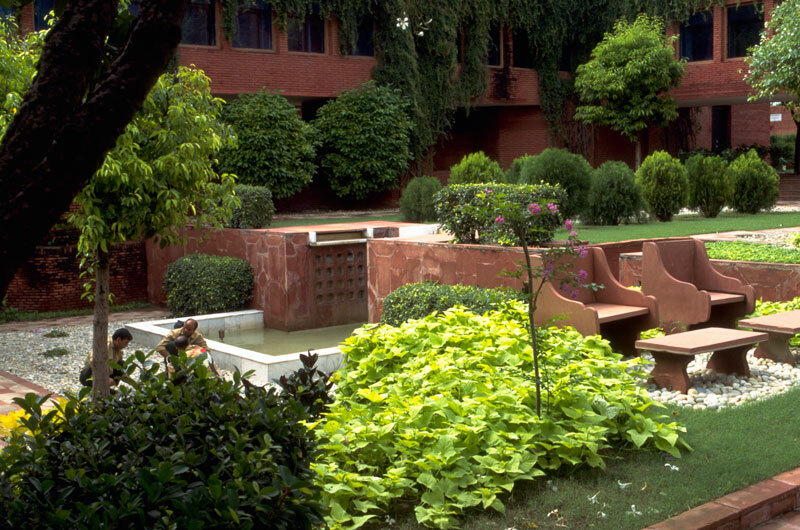 Red sandstone, the building block of Fatehpur Sikri, has been used extensively in the hotel gardens, and white marble, from the same quarries that served the Taj Mahal, is used in the public areas. All materials and fabrics are Indian.